Antonio Tajani, EC Vice-President for Transport Policy, announces EGNOS Open Service. 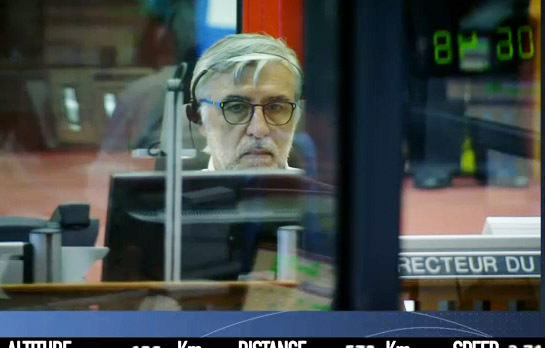 During a press conference today (October 1, 2009), Antonio Tajani, European Commission vice-president for transport policy, announced the official start of operations for EGNOS, the European Geostationary Navigation Overlay Service. This is a major milestone for EGNOS, a satellite-based augmentation system that improves the accuracy of satellite navigation signals over Europe. The EGNOS Open Service is now available free of charge for non-safety-of-live applications to all users equipped with suitable receivers – and most mass-market satellite navigation receivers being sold today are EGNOS-ready. It is the first pan-European navigation satellite system, developed as a joint project by the European Space Agency (ESA), the European Commission (EC), and Eurocontrol, the European Organization for the Safety of Air Navigation. 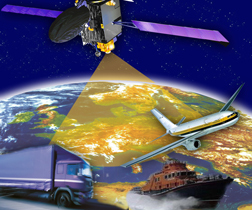 full-fledged GNSS system that became the Galileo program. The system consists of transponders aboard three geostationary satellites over the eastern Atlantic Ocean and Europe, linked to a network of about 40 ground stations and four control centers. The EGNOS ground stations receive signals sent out by GPS satellites. Information on the accuracy and reliability of these signals is relayed to users via the geostationary satellite transponders. This allows them to determine their position to within two meters in real-time. ESA had overall responsibility for the design and development of the EGNOS system and placed a contract with a consortium led Thales Alenia Space, France, to develop the system. After completing development, the EGNOS system was handed over to the EC on April 1, 2009. The EC now owns and manages the EGNOS system. ESA is the design and procurement agent through a delegation agreement with the EC. The European Satellite Services Provider, ESSP SaS, founded by seven air navigation services providers and based in Toulouse, France, manages EGNOS operations. A contract between the EC and ESSP SaS was signed on 30 September. The contract provides for the management of EGNOS operations and the maintenance of the system until the end of 2013.